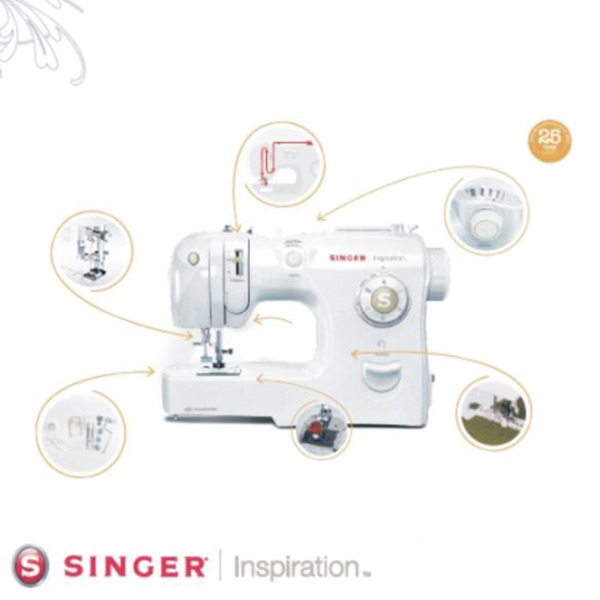 The new Singer Inspiration 4212 is simply the easiest machine to use! Designed for sewers by sewers themselves! This makes it unbelievably effortless to bring your best ideas to life. 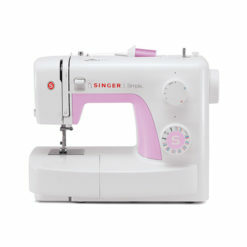 There are stitches for fashion sewing, quilting, craft sewing and home decorating. The basic utility stitches are Straight Stitch, Zigzag, Blindhem, Multi-Zigzag and the Overedge Stitch. Threading can be one of the most annoying chores of sewing. The Inspiration™, however, has fault-tolerant upper threading system that works even if you forget to raise the presser foot. This system eliminates two big threading problems: missing the tension and not threading the take up lever. Thread the machine in seconds! No tediously following the manual’s instruction to thread the machine, just follow the arrows on the machine…and you are threaded the machine correctly in a snap. Eliminate any confusion when setting the bobbin in place. With the SINGER® exclusive Sure-Fit Bobbin™ , it is easy to correctly insert the bobbin because it only goes in one way! There are no bobbin cases to remove or adjust. 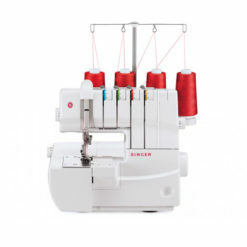 Because it also a top-loading bobbin, it is easy to monitor the thread supply. Duratec is a unique space-age material that unites high-strength resin, rugged glass fibers, and selected mineral compounds into a material equal to aluminum in durability but superior in other characteristics. Duratec™ offers greater strength, reduced weight, and improved functional performance is integrated in the SINGER® sewing machine. A modern convenience that addresses the second-most asked for feature by consumers– lighting that won’t burn out. This long lasting (100,000 hours) bulb stays cool, regardless of how long the machine is operated and provides a brighter more natural light than an standard incandescent bulb. Specially designed stitches that add strength and flexibility to seams, especially useful when sewing on knitwear. Some of the stretch stitches can also be used for decorative embellishment. Automatic One-Step Built-In Buttonhole Buttonhole sewing is so simple. Just put the button in the foot and the machine does all the work for you. Perfect button holes everytime! Length can be set as desired for each individual application. Width can be set as desired for each individual application. Width Stitches can be set for a maximum width of 6mm. 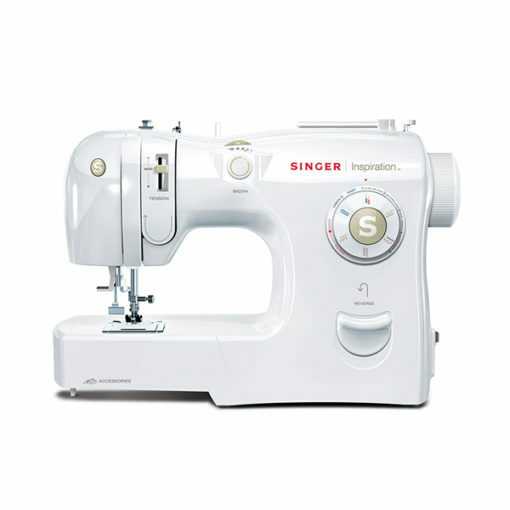 Push the conveniently located Reverse Button to sew in reverse, such as when reinforcing seams. Simultaneously produces two rows of parallel lines of stitching to create sporty professional-looking hems, sophisticated topstitching or decorative embellishment. 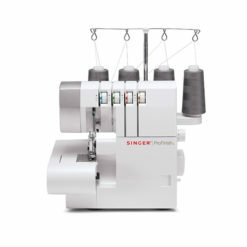 This feature automatically adjusts the pressure for sewing on fabrics from the lightest weight tricots to the heaviest denim, to maximize feed accuracy. This is a system in which the bobbin case actually floats above the hook, precluding thread jams. 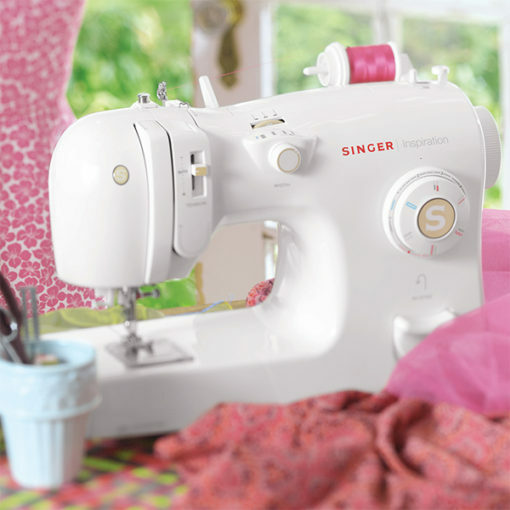 The machine will not jam, even when sewing on sheer fabric or no fabric at all! 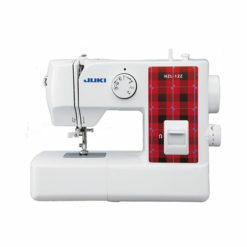 Located for precise thread cutting, eliminating the extra step of cutting thread with scissors. Sewers want the Inspiration™ because it is simple to set up and intuitive to use. The dials are clearly marked, easy to grip and smooth to operate. Change from one foot to another effortlessly with Snap-On feet. No need for screwdrivers to change feet. Keep the accessories in the Extension Table Accessory Storage area, and they are always easily accessible.